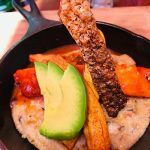 The 23rd World Gourmet Summit, one of the most anticipated culinary festivals in the world, will for the first time include participants from the Turks & Caicos Islands in its 2019 edition. The World Gourmet Summit began on April 1, 2019 and continues through to May 12, 2019 across various restaurants and venues in Singapore. 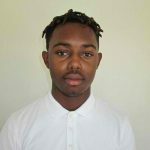 The Turks & Caicos Islands culinary team includes Culinary Ambassador Nikita Skippings, Lorraine Kenlock and notably two junior chefs Kevin Missick and Robinangel Simons who completed the TCHTA Hospitality Adventure Program. 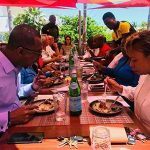 The Turks & Caicos Islands was extended an exclusive invitation to participate in the World Gourmet Summit which features a diverse curation of cuisines from around the world. 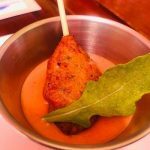 The Turks & Caicos Islands chefs will have the unique opportunity to introduce the country’s native cuisine to an international audience. Since 1997, the World Gourmet Summit has successfully grown into a globally recognized culinary event. Every year, a constellation of stars from the international and local culinary arena showcase a delectable spread of gastronomic experiences for a community of fine dining enthusiasts. 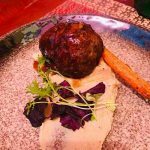 Encompassing a series of dazzling events, including the gourmet golf experience, vintner dinners and special themed and celebrity dinners, the World Gourmet Summit is a spectacular annual gourmet expedition specially crafted for discerning individuals who appreciate fine wines and cuisines. 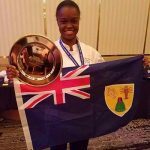 The culinary team from Turks & Caicos Islands is sponsored by the Turks & Caicos Tourist Board and The Caribbean Food & Wine Festival (which is underwritten by Grace Bay Resorts and The Wine Cellar). 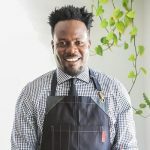 Ramon Andrews, Director of Tourism stated, “The Turks & Caicos Islands is positioning itself as the culinary capital of the Caribbean and the preferred gourmet destination. 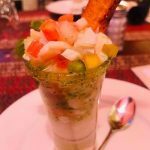 Turks & Caicos is renowned for our pristine, white sand beaches, however increasingly, we are attracting travelers from around the globe for our cultural and diverse culinary experiences, top chefs, and food festivals. From the Caribbean Food & Wine Festival, Turks & Caicos Conch Festival to the annual Lobster Festivals, our destination offers visitors an opportunity to savor the culinary adventures the islands have to offer. The Turks & Caicos Tourist Board is pleased to sponsor and endorse TCI’s participation which will assist with promoting our destination on a global culinary stage”. 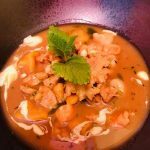 The origin of Turks & Caicos Islands’ involvement in this year’s World Gourmet Summit came after Peter Knipp, founder of the World Gourmet Summit, visited Providenciales in 2018 and expressed that he was extremely impressed with the culinary scene. 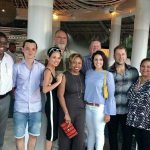 During his visit he met with key industry stakeholders and subsequently an invitation was extended for Turks & Caicos to participate in the exclusive festival. 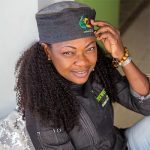 Chef Lorraine Kenlock, owner of Frenz Deck (the only farm to table dining experience in Providenciales), will participate as a special guest chef and Chef Nikita Skippings, Culinary Ambassador of the Turks & Caicos Islands, is designated as an international master chef. Both chefs will participate in a number of events including Chefs’ A La Minute – Meet the Stars and the Opening Reception. The Opening Reception will include notable guests such as ambassadors various embassies and countries, WGS International master chefs and other talented chefs in the industry, media, and industry heavyweights. The chefs will be accompanied by Mary Lightbourne Deputy Director of Tourism, Nikheel Advani CoFounder of CFWF, Murad Mohamad CFWF Committee Member, and Stacy Cox CEO of TCHTA. The culinary team representing Turks & Caicos hosted a tasting event on April 8, 2019 at Crackpot Kitchen where invited guests were treated to a preview of the traditional dishes which will be served during the event including tropical scorched conch, stewed conch and dough and island fish and grits – each featuring a gourmet flair. The Turks and Caicos Islands presence at the World Gourmet Summit is historic and presents a great opportunity for exposure and promotion of our culture and heritage through food. Islanders can follow Team TCI’s experience at the World Gourmet Summit by following the official hashtags #WGS #WorldGourmetSummit #WGS2019 #TCIWGS #TurksAndCaicos #WhyILoveTCI #TeamTCI.